The women of Zeta Phi Beta Sorority, Inc., Sigma Mu Zeta (SMZ) Chapter honored the late great Dr. Martin Luther King, Jr. by participating in the Global Day of Service. 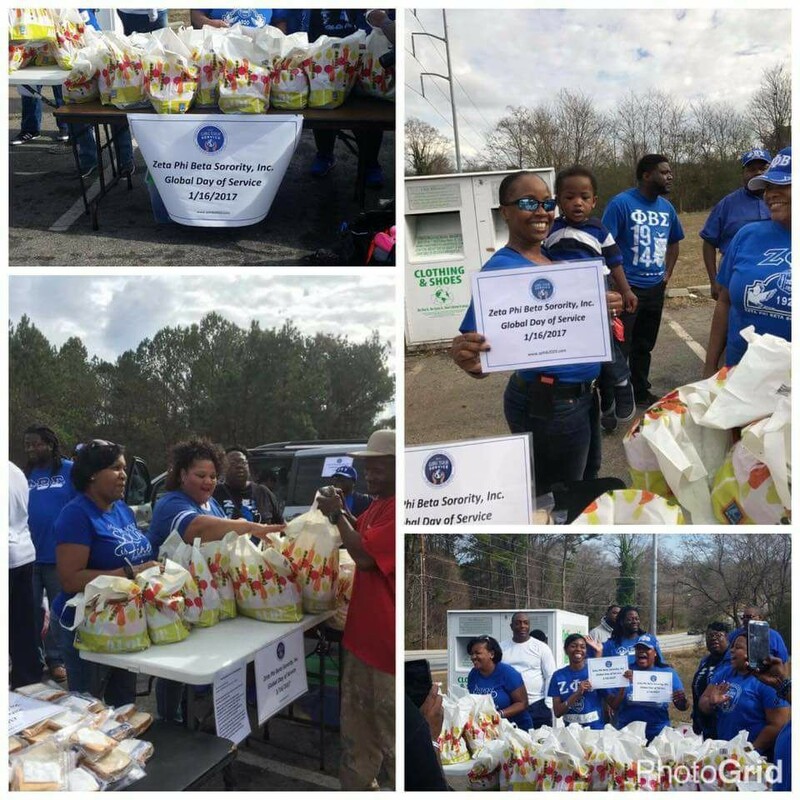 Sigma Mu Zeta Chapter organized a service project for the misplaced citizens of DeKalb County. 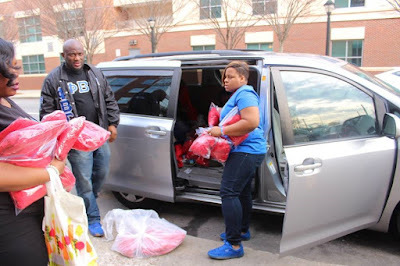 The chapter partnered with the brothers of Phi Beta Sigma Fraternity Inc., Kappa Alpha Sigma (KAS) Chapter and Buddy’s Gas Station on Glenwood Ave. to give families in need coats, shirts, hygiene kits, socks, sandwiches, snacks and other items. SMZ and KAS also went to the motel behind Buddy’s to knock on doors to let the residents know about the services we were providing at Buddy’s. We then ran into a mother and her young children who had just literally got put out of their motel room. The mother was standing there with her and the kids belongings while her young children played who were thinking they were just outside in the walkway playing for a minute. The mother was in a daze, trying to figure out her next move and while panicking on the inside. At first, she didn’t want our help and really didn’t want to talk about it. After a little convincing from a Frat and Soror, she explained her situation. 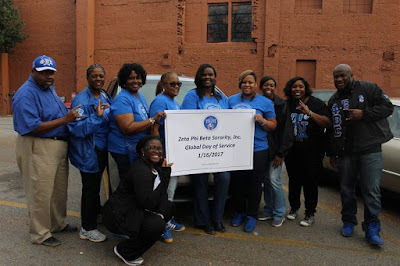 With all the Sigma’s and Zetas in attendance, our group was able to gather enough funds to pay for an additional week stay and put some money in her pockets to do what she needs to do for her family. We were also able to provide information on how to get additional resources for her and the kids if she wanted it. The mother was so grateful and thankful and all she could say was ‘Thank you Jesus’! After we were finished with aiding the citizens of DeKalb County, we packed up and caravanned to Fulton County to reach more people in need. We parked near the outreach center and were able to pass out more items to the people in the community.